Catulo Tango show stands out for a very good Tango to floor, an impeccable orchestra and an optimal visibility of the stage, with lots of local flavor, Catulo Show de Tango bets on a well-danced Tango and an accurate tribute to Evita. 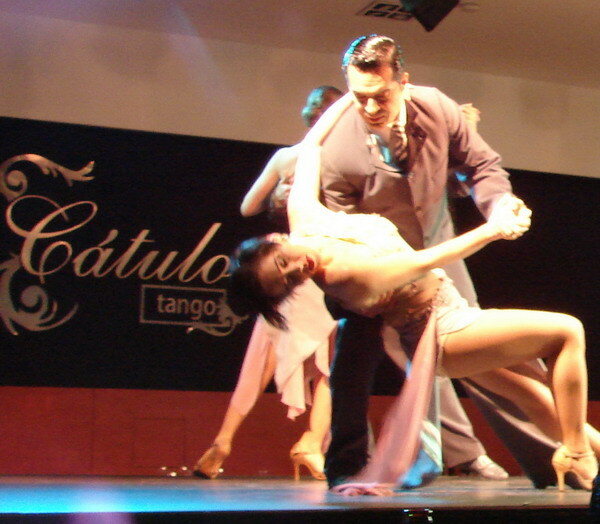 Catulo Tango Show, a traditional Tango show located in one of the most tango neighborhoods of Buenos Aires, is a very solid show in the most traditional style that is the Tango to floor, although it ventures very successfully into the stage Tango thanks to its four couples are very versatile. Catulo Tango Show has world class level of dance but with a setting that is one of the friendliest for the local audience, which is an additional seasoning for the visitor who likes the authentic. The Show: A special seasoning of Catulo Tango show is a brief part of the Evita Music Hall, which is used to recreate a whole section of Tango danced with a clear historical reference to Peronism and the mutual love of this important couple in Argentina’s life. Singers are outstanding, any of the two male singers you may see there according of the day you attend is a recognized figure in the tango scene, and the singer herself justifies attending the show, with her vocal quality and her easy handling of the stage, where she even likes to dance (Not all singers can dance Tango). Catulo Tango Show is blessed by a septet that can do any rhythm perfectly, they move to different Tango orchestras’ style in the same song, they put their own arrangements, adapt to the different styles of the singers, summarizing they are luxury, mostly the pianist. A great achievement of Catulo Tango Show is to have separated the orchestra from the stage of the dance corps. There are no many Tango houses with this smart lay out in Buenos Aires. The dancers’ stage is surrounded by the tables guaranteeing an optimal vision, which becomes unbeatable due to the generous height of the dance area and the orchestra, is a perfect vision from anywhere, for which the show has dispensed with the scenery. For dinner at Catulo Tango Show we recommend the chorizo beef, the creme brulée and the spinach creppes. 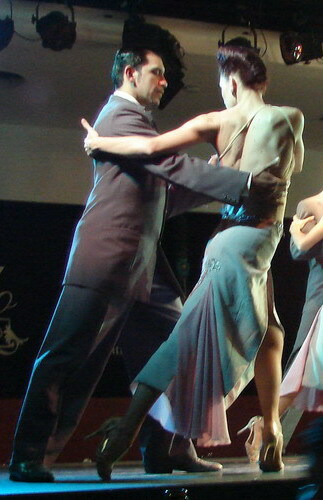 Catulo Tango, a Tango show where the star is the traditional style Tango. - Spinach and ricotta crepes with rose sauce. - Russian salad with raw ham and cheese. - Chorizo steak in Malbec sauce with a "thousand-leaves" potatoes. - Sorrentinos (big raviolis) of ham and mozzarella with cream of mushrooms, leeks and cherrry tomatoes. - Fishing of the day with Andean potatoes and saffron in shrimp sauce. - Chicken with mushrooms and round potatoes. - Tagliatelle type noodles with pomodoro sauce. - Black salmon ravioli accompanied by shrimp sauce. - Ice cream with red fruits on a brownie mattress. - Fruit salad accompanied by ice cream. Beverages: Red or white wine, beer sodas and mineral water. * Eventually the Tango house can make modifications to the menu without previous notice.